Assam’s indigenousBoka Chaul(Oryza sativa) or soft-rice which recently got the GI tag will soon make its UD debut. A Los Angeles-based non-resident Indian (NRI) businessman showed interest in promoting Assam’s magic rice in the US. Nalbari-based Lotus Progressive Centre (LPC), a local NGO involved in the promotion and preservation of native variety of rice across 45 villages in and around Nalbari district informed that Nitin Patel, a Gujarati NRI, had contacted them for promoting the rice in the US. 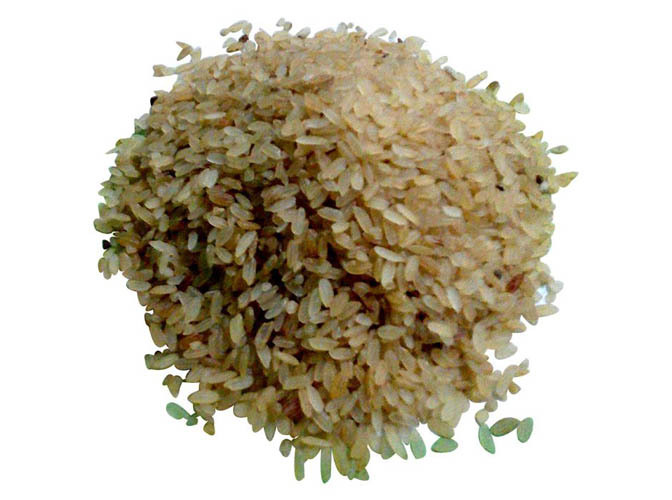 This native variety of rice is unique because it requires no fuel to cook and can be eaten by just soaking it in water at room temperature. It is known for its nutrition and is consumed during summer because of its cooling effect. Boka Chaul, a paddy variety from Assam, on which Ahom soldiers subsisted during the Mughal era, is mostly cultivated in Nalbari, Barpeta, Goalpara, Baksa, Kamrup, Dhubri, Kokrajhar and Darrang districts of lower Assam. According to LPC, Nalbari has around 70,000 hectares of agricultural land of which 3,500 hectares (five per cent) is solely dedicated to the cultivation ofboka chaul.Around one tonne boka chaul paddy or 1.2-1.3 tonnes of rice are cultivated in a hectare, reports The Telegraph. This variety of rice is mostly used as part of the traditional cuisine with curd, jaggery, milk, sugar or other items.